Maintaining windows – wood, steel or aluminum? Concerned about abrasive cleaners? Ceramic tile? Moisture problems? 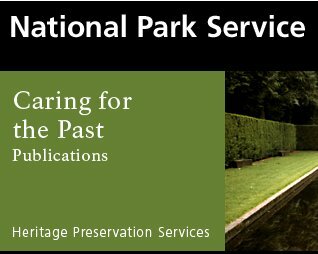 The National Park Service has preservation briefs to help on all these topics — 44 in all — available at your fingertips online. While these briefs appear to be intended for historic preservation pro’s — and while I’m not sure the NPS would yet classify our little pieces of the American dream as “historic” — the reports certainly appear to be informative reading for renovation geeks who want to know as much as they can about what they may be dealing with. Remember, I always advise to consult with pro’s when it comes to environmental and safety issues — renovate safe. Here is the link to all the NPS Technical Service Briefs. You can read them online — or order them in print, for free. Thank you so much, Pam, for this vital information. As the owner of a 1920 Craftsman-style foursquare that has so many projects ahead of it, I truly appreciate any information I can find!!! You are a gem! What a great resource! Thanks for posting this. This is a great source of information. I ran across this a few months ago but then I couldn’t remember where I had seen it. I have steel casement windows in my 1949 kitchen and most of them are painted shut. As a result, the cranks (and possibly the operators) are stripped. I want to rehab them but I worry about the labor required. Thanks so much for posting this guide.